I thought I’d take a break from “class” and answer a question someone asked me: why do I call my blog “Whisk”? Almost everyone has a whisk or two in their kitchen, even if they’re not foodies. Next to a knife, it’s one of the most common tools in the kitchen. Plus they’re a workhorse in the kitchen. From cheese soufflés to gravies, they’re used for both savoury and sweet dishes. They’ve even been known to be used in faux painting. What more could you ask of a simple kitchen tool? Of course, being a foodie, I own several. I have one I’ve never used, one I use all the time, another I use just for scrambling eggs, and another that’s special because it was given to me by my daughter at Christmas all wrapped with pipe cleaners twisted around its top. The best whisk I remember, though, is the one my mom would let me lick after she made seven-minute frosting for a cake. I remember fighting with my sister over the beater that had the most frosting on it. Now, my kids do that too. Only it’s different when you have a KitchenAid stand mixer that has one paddle or whisk attachment and three kids who want said paddle or whisk. The bowl and rubber spatula are next in line. But somehow, the paddle of a Kitchenaid just doesn’t have the same appeal as a whisk, and for some reason the whisk attachment isn’t used as often as the paddle. However, I guess it’s always a treat when you get to lick off the icing before it’s on your plate! I remember at my oldest daughter’s first birthday, I so very much wanted to get a picture of my little girl, turning one, licking the beater of the icing of her first birthday cake (to get a photo of another generation enjoying this treat). Since she was my first, she hadn’t tasted chocolate (or for that matter much that was sweet before! ), so she wasn’t as excited about the icing or the photo op as I was. And so I didn’t get the picture I was hoping for. Maybe it was due to the fact that the paddle of the mixer was harder to hold for a one-year-old than a beater of the Sunbeam Mixer my mom had as we were growing up. Who knows. • An old-fashioned egg beater. I used to own one, but I’ve had one too many garage sales and purging stints. • A roux whip. I don’t have a flat one yet. • A new Aerolatte frother for fizzing up the odd hot chocolate. My other one died when it hit the dishwater by accident. • And this fancy Cuisipro Therm Whisk that has an LCD temperature readout for making caramel, syrup, and custard. I’m pretty sure this will never be in the knife kit of any cooking school, but I love gadgets. However, all you need is a good 12-inch (30-cm) flexible balloon whisk. This is the type provided in culinary school knife kits. You also need a strong arm, lest you get “whisk elbow”. In my reading up on whisks, I found a great little website that provides mini documentaries on various food topics, along with topics about sustainable living. They have a wonderful short about whisks, of all things. 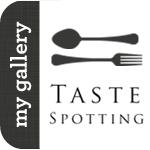 The other stories are great too, such as the one about food photography. Check it out. 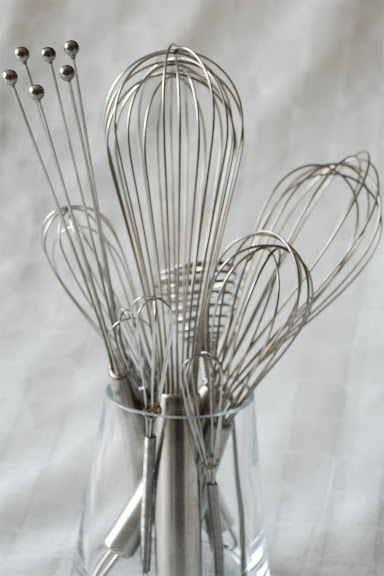 Now for the GIVE-AWAY part of this post…In the spirit of whisks, and my blog, if you’d like a chance to get your own ball whisk (which is even sold at the MOMA - Museum of Modern Art store in New York), leave a comment to this post with your favorite whisk-related story or memory. 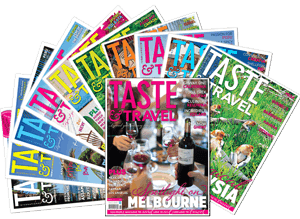 If you have a blog and would rather write it there, please post the link to your blog post in the comments of this blog entry. This ball whisk is supposedly perfect for making spun sugar, for whoever is so inclined. • Your story must be posted or linked to here by 23:59 GMT-05:00 Eastern Standard Time (US & Canada) on Friday, March 21st, 2008. Please provide some form of contact information (you can email me using the email link on the sidebar), so I can contact you. • The whisk will be shipped to you directly from an Amazon store, so make sure you live in a country where Amazon ships. I will pick my favorite whisk-related story and announce the winner Monday, March 24th, 2008. I’m looking forward to reading your stories! Here’s to pulling, folding, and aerating. Cheers! I'm past the deadline but I thought I'd comment anyway. To make a story short....lets just say that somehow a small wisk made its way into a batter and consequently into the oven. Now that's a surprise when you go to cut a cake. I am newly married. The kitchen is unfamiliar terrain. I am attempting to make Brownies. It is hot on this tropical island. Eighty-five degree temperature and 78 percent humidity. From across the road comes a five year-old, barefoot, tomboyish girl with long, flowing yellowish hair. She opens the door and walks in, wondering what I’m doing. I show her. I am making Brownies with my mammoth, stand-on-the-counter mixer. She leans in to have a closer look, perhaps even to catch a smell of the rich chocolate. Suddenly, as if in slow motion, I see her long yellow hair curling around the beaters and before I can hit the OFF button, several plugs of hair are whipped right out of her head. She screams. I scream. She runs across the street to her home. I feel ill. In moments she is back again, this time wearing a headband to cover the holes where plugs of hair had once been.